Thank you for your interest in our Drexel Hill dental practice. The entire dental staff is dedicated not only to restoring patient's teeth and gums to health but focuses on preventative care and patient education. Our office has a small, friendly atmosphere that puts our patients at ease. You will not find a crowded waiting room or have trouble scheduling timely appointments at this Drexel Hill dental practice. Our practice has numerous specialties including Esthetic and Cosmetic Dentistry, Root Canal Therapy, Crown and Bridge, Dental Veneers, Teeth Whitening, Porcelain Crowns, Periodontics, Clear Orthodontic Aligners, and Prosthetics. We look forward to seeing you on your next visit to our office!!! Thank you for your interest in our Drexel Hill dental practice. The entire dental staff is dedicated not only to restoring patent's teeth and gums to health, but focuses on preventative care and patient education. Our office has a small, friendly atmosphere that puts our patients at ease. You will not find a crowded waiting room or have trouble scheduling timely appointments at this Drexel Hill dental practice. Our practice has numerous specialties including Aesthetic and Cosmetic Dentistry, Root Canal Therapy, Crown and Bridge, Dental veneers, Teeth Whitening, Porcelain Crowns, Periodontics,Clear orthodontic aligners, Prosthetics and Pain Management. We look forward to seeing you at your next visit to our office!!! is a graduate of Villanova University where he earned his Bachelor of Science degrees with a double major in both General Science and Biology (1980). He then attended Temple University where he earned his Doctor of Medical Dentistry (DMD) degree in 1984. Dr. Mark has been practicing dentistry for over 30 years, and during that time he has continued his commitment to education. He has studied at The Pankey Institute, a leader in continuing education for dental professionals. Dr. Mark is also a member of the Seattle Study Club, Academy of Dentistry, and The Delaware County Dental Society. During his spare time he enjoys spending time with his wife and three children. He also enjoys coaching, and playing sports. graduated from Villanova University with a Bachelor of Science in Biology. He attended Temple University School of Dentistry graduating as Doctor of Dental Surgery. He has attended the Pankey Institute for Advanced Dental Study and has earned a Fellowship in the Academy of General Dentistry. He is a member of the American Dental Association, The Academy of General Dentistry, The American Academy of Cosmetic Dentistry, and the Chester/Delaware County Dental Society. He continues to take monthly continuing education to keep up with new advances in Dental science. Dr. John has regularly volunteered in the community and has coached soccer and basketball for over 30 years. He enjoys spending time with his family, running, skiing, hiking, and walking with his golden retriever. 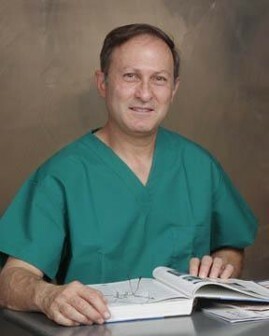 Dr. Mark Radomile is a graduate of Villanova University where he earned his Bachelor of Science degrees with a double major in both General Science and Biology (1980). He then attended Temple University where he earned his Doctor of Medical Dentistry (DMD) degree in 1984. Dr. Mark has been practicing dentistry for over 30 years, and during that time he has continued his commitment to education. He has studied at The Pankey Institute, a leader in continuing education for dental professionals. Dr. Mark is also a member of the Seattle Study Club, Academy of Dentistry, and The Delaware County Dental Society. During his spare time, he enjoys spending time with his wife and three children. He also enjoys coaching and playing sports. 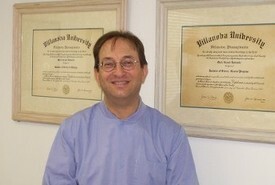 Dr. John Radomile graduated from Villanova University with a Bachelor of Science in Biology. He attended Temple University School of Dentistry graduating as Doctor of Dental Surgery. He has attended the Pankey Institute for Advanced Dental Study and has earned a Fellowship in the Academy of General Dentistry. He is a member of the American Dental Association, The Academy of General Dentistry, The American Academy of Cosmetic Dentistry, and the Chester/Delaware County Dental Society. He continues to take monthly continuing education to keep up with new advances in Dental science.